If you were watching general conference this Sunday morning, your heart probably melted as you watched President Monson’s physical strength begin to fail on him in front of the entire Church. 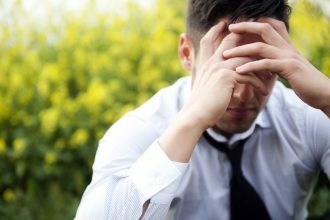 He started strong, and then all of the sudden it was as if an entire lifetime of church service came crashing down on to his shoulders. It’s the first time that I can remember actually praying specifically for a person at the pulpit so that they would have the strength to endure. As I watched this man…this great man struggle through the last half of his message, I couldn’t help but become emotional. For me, it was as if the words he was speaking at the moment took a backseat to the symbolism of what I was witnessing, and in that moment, it was as if his spirit was speaking directly to mine. 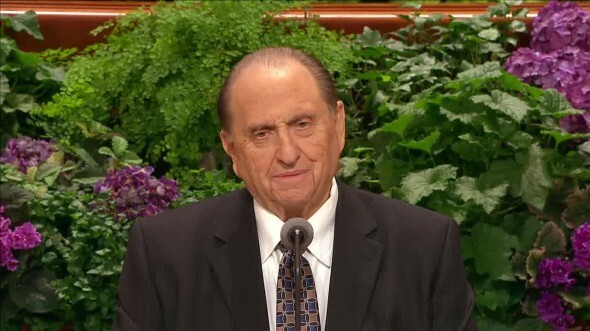 I can’t imagine what the last couple years, let alone months have been like for President Monson. His amazing wife Frances who has supported him and been with him through everything, passed away. The world’s values are exponentially declining and effecting members of the church. He feels a responsibility to be there for them and comfort them. It has now become commonplace for people to show up at conference to show their opposition to him in person. This sweet 88 year old man has done nothing but serve people for an entire lifetime and now has to deal with hearing the phase “the vote has been noted” over and over again every 6 months. That has had to take a toll on him. He has had to watch three of his best friends pass away within the last few months. He’s had to speak and preside at their services, attend to their families, and is expected to be the one that is lifting others spirits. He’s had the monumental task of not only presiding over the church “short handed”, but calling three new apostles. He’s the one that mentally has to bear the scrutiny, the questioning, the speculating. All of this has had to take a toll on him. How does a person get to sleep at night with that kind of burden…and yet here he was Sunday morning, speaking first, ramping up the strength to stand up once again and bring messages of goodness to all of those that love, respect, and look up to this Christian soldier. I’m sitting here waiting for the next session of conference thinking about him, wishing that I could have run up there and thrown his arm around my neck and shoulders to bear the weight of his body and the weight of his worries and concerns. I wish I could have held him up like he has done for so many of us in the church for so many years. Truly…he has worn out his life in the service of others.